Kristian and Pippa are a young, trendy, bubbly couple who came to me last minute when their original photographer pulled out. It turned out to be one of those 'meant to be' moments, as the wedding was a joy to photograph; full of emotion and magic, and the couple ended up loving the results. Phew! Muted pinks and greys were the order of the day, and the soft tones were beautifully complemented by striking spring sunshine, baby blue sky and fluffy white clouds. Perfection! 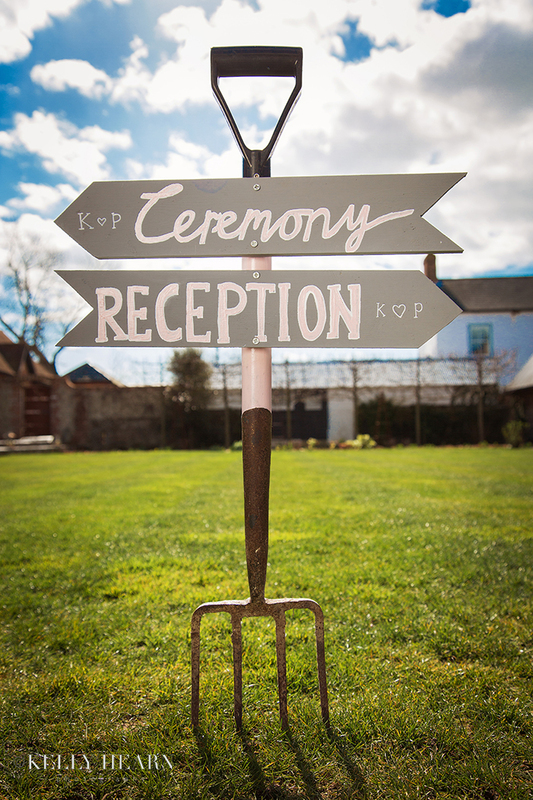 This quirky gardening fork somehow ties the entire wedding together for me; it looks like it was born to be nestled in the lawn at the rustic haven that is Southend Barns; the couple painted it up to be in keeping with the colour scheme but it carries an emotional back story. It belonged to a grandparent who was sadly not around to be part of the day, but definitely there in spirit! Check out the fresh spring green of the grass, and that wistful sky behind. The Southend Barns team also run a pub nearby called the Blacksmiths Arms, and this was where I found Kristian and his groomsmen grooming themselves for the big day. The pub is stylistically very similar to the barns in its decor and furnishings, so linked aesthetically to the later images in rather a pleasing way! I used the funky radiators to capture the groom’s details, they tied in to the silvery grey theme perfectly, and balanced the pretty dramatic shadows cast by his shoes!